My Holy Stone F181W Review: To Buy or Not to Buy? Drones are amazing pieces of technology! If there’s one thing computers and cameras have in common, it’s that both of them started as bulky and not so easy to use. But they’ve rapidly become increasingly portable and efficient. Fuse the two and add the wonders of robotics and aviation technology to the mix, and presto, you have a drone! 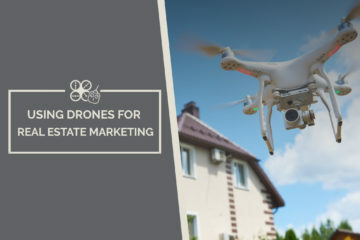 But, as is the case with technology, the world has quickly adapted to the presence of drones, and the market for them is fiercely competitive. So, finding the right drone can be tough. Don’t worry though, I am here to tell you all about one of the best drones on the market today. Hey, it’s Dhia here, a robotics engineer and tech-freak. Today I’ll review the Holy Stone F181W and find out if it’s cut out for you! The F181W rocks a camera that records 720p videos. Though nothing is mentioned about the megapixel rating of the camera, I assume the video’s resolution is 1280×720 pixels, giving the F181W a megapixel count of 0.9. It also comes with a wide 120° angle, ensuring a broad field of view is covered. The F181W comes with a ton of flying features, including an altitude hold function, one-key take-off and landing, a six-axis gyroscope, ‘headless’ mode and 3-axis flip technology. The F181W has 4-channel dual-joystick control remote, which features a phone holder. The remote also features two D-pads for navigating through menus. You get a live feed of the video on your phone via an app. In the box, you’ll find the drone itself (obviously! ), the remote, two batteries, the camera, the blades and their accompanying screws. There’s also two charging cables, data and storage cards, and a screwdriver. Having reviewed many drones throughout my ventures into remote corners of the world, coming back home always brings a sigh of relief. Being a drone freak, though, I need a drone for home as well. And this model is perfect for horsing around your house. It’s light on your pocket and the perfect starting point for beginners. The drone does not come pre-assembled, you’ll have to assemble it yourself by following the instructions in the manual. If done correctly, the drone’s body and fittings are reasonably sturdy for the light-duty use it is built for. The blades screw on to the drone well enough and don’t seem to be the kind to break easily. The frames, though, are slightly flimsy and I doubt they’d protect the blades in a fall. Bummer! On to the design, it follows the standard drone design of a body in the middle surrounded by blades on either side. Also in typical drone fashion, the camera sits beneath the body. Since the F181W is intended to be used by absolute beginners and to be used for light-duty work, ease of use is essential. Unfortunately, the F181W doesn’t help beginners pick up the art of flying a drone quickly and does not flatten the steep learning curve. The remote features two joysticks. The left one controls the throttle whereas the right one controls direction. The trimmer is designed to help you fine-tune your throttle and direction commands. The whole setup can get confusing for a beginner and might lead to a lot of crashes. However, credit where it’s due. I found the app setup to be very easy and the drone paired with my phone easily and quickly. Camera quality of the F181W is decent at best and sub-par at worst. Keeping in mind its low price and intended application/buyers, the quality is satisfactory. The camera captures 720p video, which is fine for most non-commercial applications. The images are sharp, clear and weigh light and saturation well. It is also a wide-angle camera featuring a 120-degree field of view, meaning the images are adequately wide. There’s not much to write about the battery life. The drone comes with two batteries but the maximum flight time is ten minutes. This means it’s best for flying up to a reasonable altitude and taking a few shots of, say, your neighborhood or immediate surroundings. This is consistent with its 100-meter operation distance. Performance is satisfactory as the drone is responsive to inputs, but I found that it becomes easily swayed, even by light winds. Great for beginners and professionals alike, altitude hold ensures that the drone automatically holds its vertical position. This is useful for beginners who may have trouble keeping the drone still and for professionals who want quality shots from the drone. 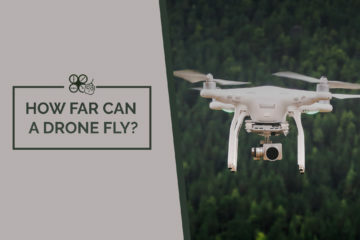 A six-axis gyroscope should ideally mean that no matter how rough the weather gets or how turbulent flying conditions are, the drone should remain stable. However, while the gyroscope does a wonderful job of ensuring this on the software side of things, the motors are not powerful enough to keep the drone stable under turbulence. Perhaps, with some slightly more powerful hardware, the F181W would be more useful. But, this does not render the F181W unusable, in fact, in fine weather to light winds, the F181W holds up just fine. It didn’t take long for people (myself included!) to start having fun with drones, so they got them to do all sorts of tricks. Flipping is one of them, and I’m glad to report that the F181W handles this tomfoolery well. It can flip along all three axes without skipping a beat and can even be used for functionality if you’re looking to shoot intense, shaky action-oriented video. Probably one of the best navigational features of the F181W, the headless mode lets the camera rotate independently from the direction the drone is facing in. 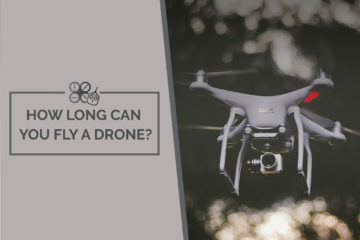 Basically, the camera’s axis is not aligned with the axis of the drone, which means your direction of travel need not restrict your direction of filming. 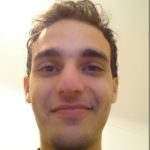 Being a beginner level drone, I believe the F181W offers enough features to be worth the purchase. While there’s no possible way to guarantee the longevity of the parts, but keeping the speculations aside, I can safely say it’s a value for money product. The Holy Stone F181W is a great drone for those looking to dip a toe in the pond of drones. It comes at a very affordable price point, so even it won’t pinch much when it crashes, or you upgrade. The camera quality is decent, considering the price point. And the wide FOV means you can capture each and every thing! The functionality is some of the best I’ve seen on entry-level drones, and it offers a lot of options to make it fly better. All things considered, this is one of the best drones for beginners on the market today, and I highly recommend buying it.